Amber Carrington sang this a few nights ago on “The Voice”. I had never heard the Adele version from the James Bond movie with the same title – nor have I seen the movie. But there was something really compelling about this song. Hauntingly beautiful – the music rises and falls around the lyrics, actually sounding like the sky is falling and crumbling. This young lady is very talented and hats off to her for choosing an Adele song. They are not easy to sing – and everyone always compares to the original. I’m happy I had not heard the original when I heard Amber sing this. She captured the song beautifully – and it is my choice for best song of the night. Here is my favorite so far in the American Idol competition this season – she is the “dark horse” and I believe has a real shot at winning it all! Take a listen to Candace Glover singing “LoveSong” by The Cure. 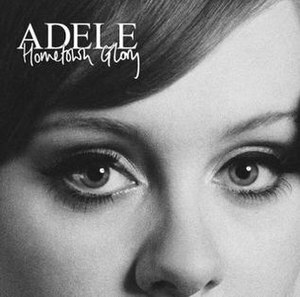 I sit at my desk this morning listening to “Hometown Glory” by Adele. I am reflecting on the last busy week, struggling with stress, unexpected twists and turns, and then lack of sleep resulting in a head cold – all of these I could have done without. And yet, despite all of these events – I am grateful for the continual blessings I experience each day. I believe that life is a series of highs and lows and the secret to happiness exist in learning the balance minute by minute – day in and day out. Existing in the unexciting, preparing for the unexpected, finding stability and holding on in the temporary euphoric – realizing that real life happens in the ordinary events – the ones that are not very exciting – and finding contentment and laughter in something every day. Balance is such a key to a rich and full life. Learning to ride out the storms of life which are always temporary times. Realizing that life cannot just exist in the high points – but that the real sustenance and strength of character comes from the dark days. I am a much happier person for all my experiences, good and bad. They have made me who I am today – the dark, bad, ugly and also the joy and lessons learned through pain. Happy has such a close and intimate relationship with pain and struggle – one cannot truly exist without the other as a measuring stick. And deepest joy from God alone comes from an understanding and experience with both. Whatever you are struggling with today – just know that it is temporary. God understands and knows your struggles. Won’t you allow that struggle to pull out of you some joy and understanding to pass on to others? As you allow pain and struggle, lack of understanding and dark circumstances to do their work in you – you will have a story of God’s great joy in the midst of where you are living right now. They are forming an even better you. One with a heart of empathy and understanding for others and a word of hope. As we all push forward today to find balance in our daily circumstances – I am praying for you. Don’t you love it when an artist captures a moment in time that we can all relate to? I heard this song sung by Haley this last week on American Idol – and I was really impressed with it. So I looked it up on youtube to hear the original artist singing it. Adele has an AMAZING voice and reminds me so much of Wynonna Judd – with that raspy, sultry color in her voice. Adele is from London and I love her speaking accent – although there is no trace of an accent when she sings. This song is born out of Adele’s own experience with a broken relationship – but it is also her cry of resolution and resignation – finding she had the inner strength to endure – did not let a broken heart keep her down – and finally – the ability to move on and say, figuratively speaking, “Is that all you got”? If you’ve ever been through something with someone – you will be able to identity with the lyrics. Why oh Why – did I not think of these lyrics? They’re really terrific! Great song!